Web Site Strategy | Is Your Web Solution the Click-and-Pray Approach or Click-and-Produce? Do You Use the "Click and Pray"
Approach to Web Site Building? So what's your website strategy? Sometimes webmasters must resort to using any creative approach at all in order to implement a new technique or any number of web solutions in order to get the job done. My all time favorite web site strategy is what I refer to as the infamous. . .
You see, on many occasions I have had the dubious privilege of observing my webmaster side-kick, Sue, when she used to regularly use this approach in the very beginning of her site building days. And I must confess I found it quite an amusing strategy to watch. I've dubbed it the "Click-and-Pray" approach to implementing website solutions. A fitting description don't you think? I'm sure you might have employed this same web site strategy once or twice too. It's the one where you attempt to implement a new suggestion that you really don't understand all that well. But you go ahead and do it anyways since it seems to work so well for others. You take the risk, plunge right in and apply the advice to your own site. As your finger is poised over the mouse to implement the new web site strategy you simultaneously. . .
Take a huge breath and hold it. . .
All the while you are praying feverishly to all the cyber deities that as you click your mouse you will see the results you expect when the screen refreshes. With a hope born of desperation you ever so slowly lift just one eye-lid a teeny tiny little crack to get a quick peek at the screen and. . .
You see, when you find yourself in the position of not knowing all the ins and outs of a new site building technique sometimes you just take a giant leap of faith and implement it despite knowing the ramifications. Usually the rationale you use is that if someone else implemented the same web solutions, they must work and therefore how hard or complicated can it be. So you go ahead and do it yourself! Those are the exact times that I've had to stand stoically by and watch Sue suffer through one of those dreadful conniption fits. From my most astute cyber savvy view point, it is usually an exceptionally outstanding idea to find out specific instructions FIRST along with the ramifications. You know, learn all the essential how to's; the step-by-step process involved BEFORE you jump in and start praying with both eyes closed. That final click of the mouse should be the one that you know for certain will produce the desired result. That way total disaster doesn't strike and you won't have a heart stopping mess to straighten out. I can personally attest from many years of close observation that the click and pray strategy is essentially a misguided and wayward approach to web site building. I can wholeheartedly assure you that if you abandon the ever tempting click-and-pray approach to site building you can turn your strategy into one of click-and-produce! I've seen Sue develop this approach throughout the years and do you know what? It is far more productive. Because without a doubt and without exception a more informed web site building approach produces. . .
Do you have a riveting website help story that you would like to share? 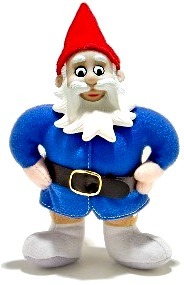 Add it to Gnomely's Visitor Website Help Journal! We can't wait to read it. . .